I think lately I’ve been baking as a form of procrastination. I have a lot of school work to do, and I don’t always want to do it. (But I always get it done, don’t worry!) Every once in a while, lately on weekends, I’ve been deciding to bake up a storm. These sugar cookie bars came about on a bit of a whim, and I’m so glad they did! 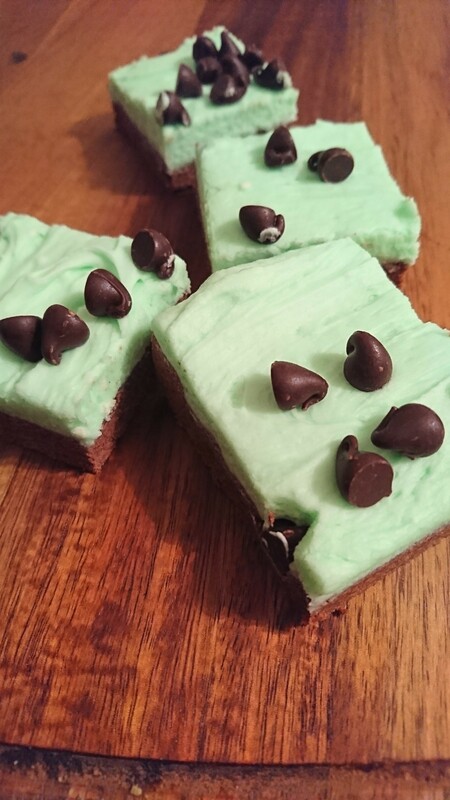 I found the original recipe here, and while I didn’t have Andes mint bars, I decided to top them off with chocolate chips, because why not. 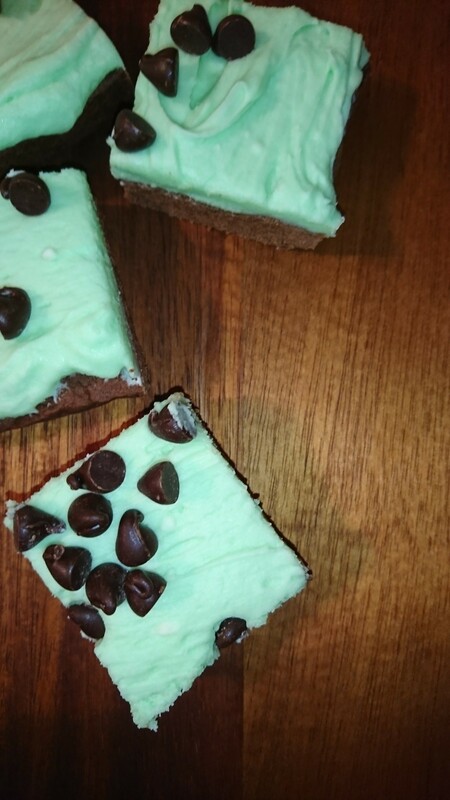 If you are a fan of chocolate and mint together, I guarantee these will hit the spot! Line a 9 x 13 pan with parchment paper. Set aside. In the bowl of a mixer, beat the butter, brown sugar, and sugar until combined. Add in egg, vanilla and milk. Beat again. In a medium bowl, add the flour, cocoa, baking powder, and salt, and whisk to combine evenly. Slowly add the dry ingredients to the wet, and mix until a cohesive dough is formed. Press dough evenly into the prepared pan and bake for 14-15 minutes. Do not overbake. 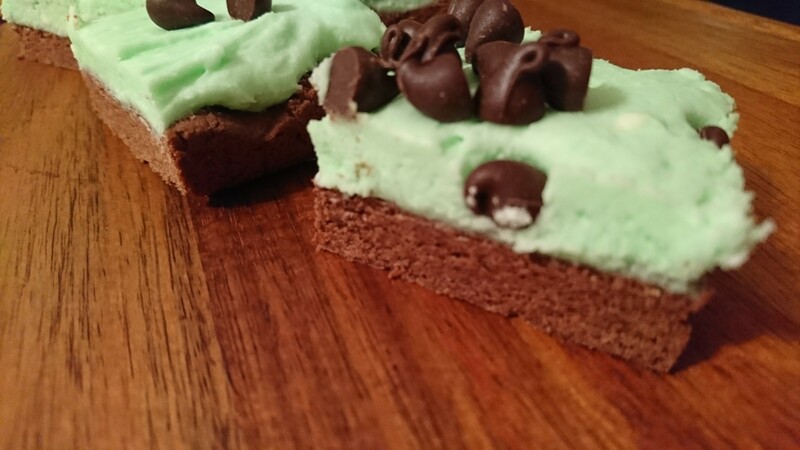 To make the frosting, beat the butter, mint extract, and heavy cream together until smooth and fluffy. Add in the salt, icing sugar, and food colouring and beat until smooth and creamy. Spread over cooled bars and garnish as desired. Slice into squares and serve!